I noticed something Sticking out of the blue bird house one morning and it didn't look like a bird. I wandered over for a closer look and discovered it was occupied by snakes, two of them. I was able to take lots of photos of the curiose snakes. 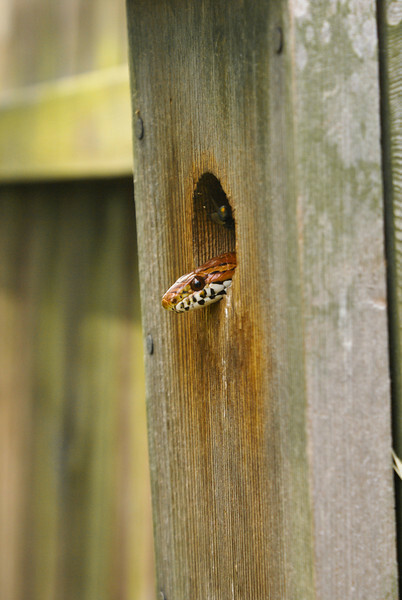 It's a Corn Snake (Elaphe Guttata) Just one species of 37 snakes in North Carolina. Once it got dark they ventured out of the bird house and went on their way to new hunting grounds.